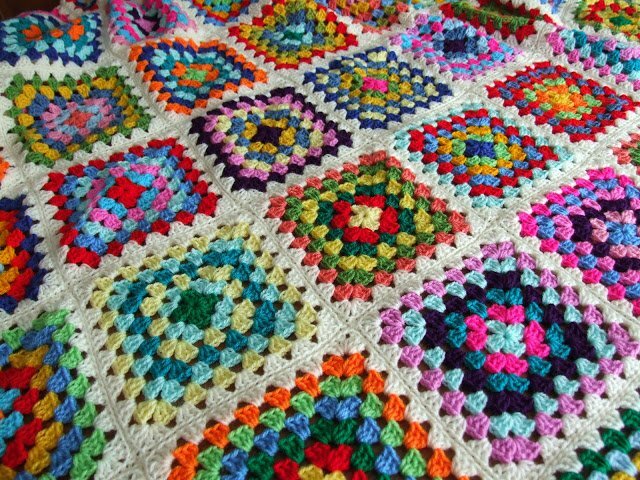 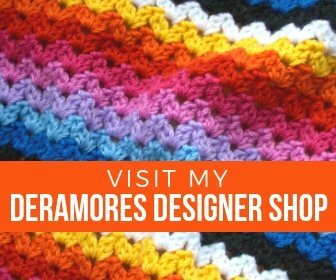 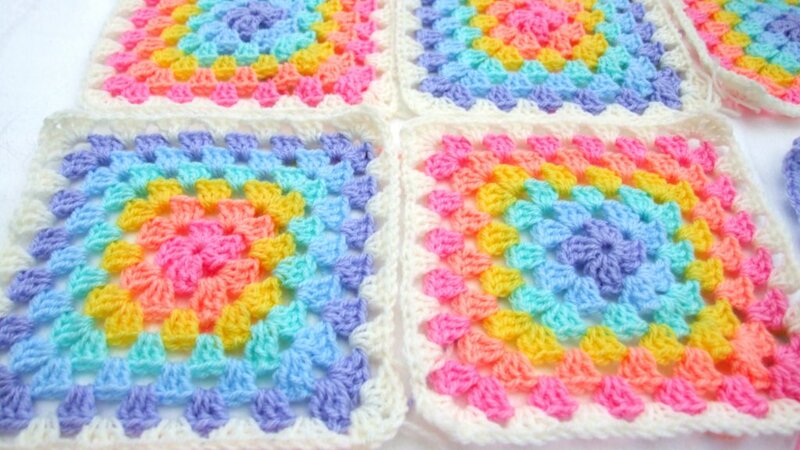 I recently finished a scrumptious granny blanket which was made for Cumbrian Country Crafts. 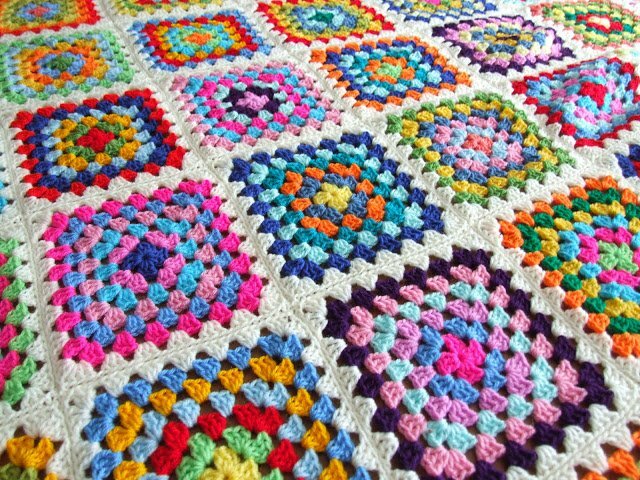 I’m now working on another blanket for Cumbrian Country Crafts. The colours are so pretty, you can’t tell from the dingy photograph! 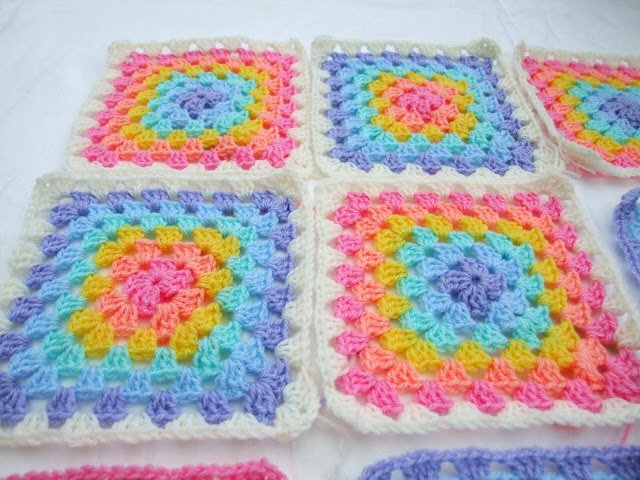 I’m joining the squares so its almost finished 🙂 Will post photos when done.